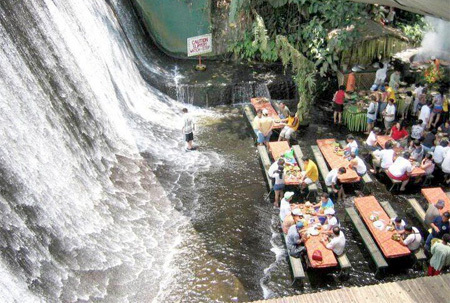 Amazing restaurant located near a beautiful waterfall at the Villa Escudero resort in the Philippines offers unique and memorable dining experience. 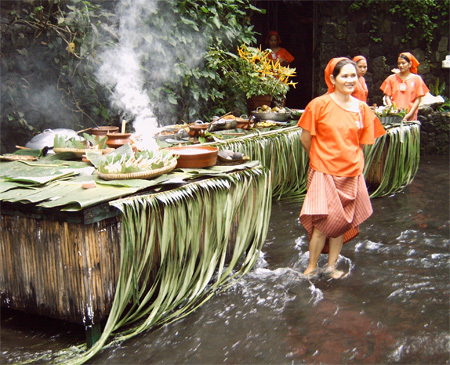 Delicious local food is served on bamboo tables right under the waterfall. Clear water gently runs over the feet of the customers. looks artificial *-* but i loved it! 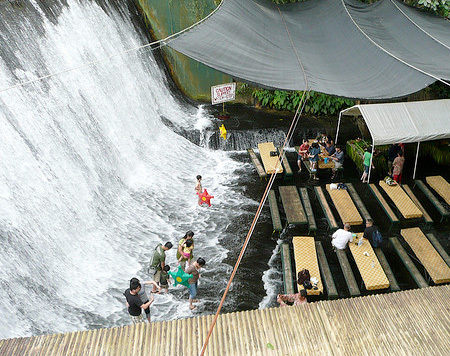 i wanna go there! This is a cool experience to check out. I´d like to be there…a good place to talk with your mother in law…and try to listen her..perfect place!! Didn’t Top Gear went there in one of there specials? I’ve never been to the islands – but it’s firmly planted on my Bucket List thanks to these photos! 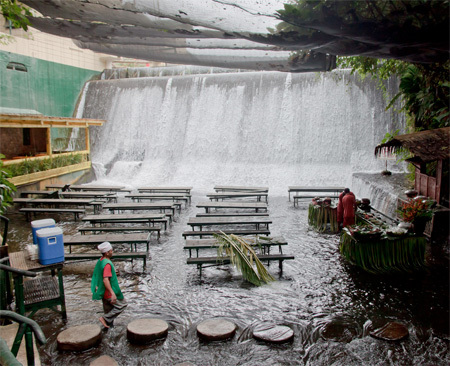 i think it cool, but what happened with all the noice waterfalls make? does it make so much noice as a waterfall? Cote, it’s at an angle so I doubt it makes to much noise. Rit, it’s in a tropical country. There are only summer and rainy seasons. Cote, the noise is similar to what a big waterfall would make at a distance, it’s not much of a problem. Been there in Jan 2005 and loved the place :) simple and beautiful. enjoyed the food ofcourse.